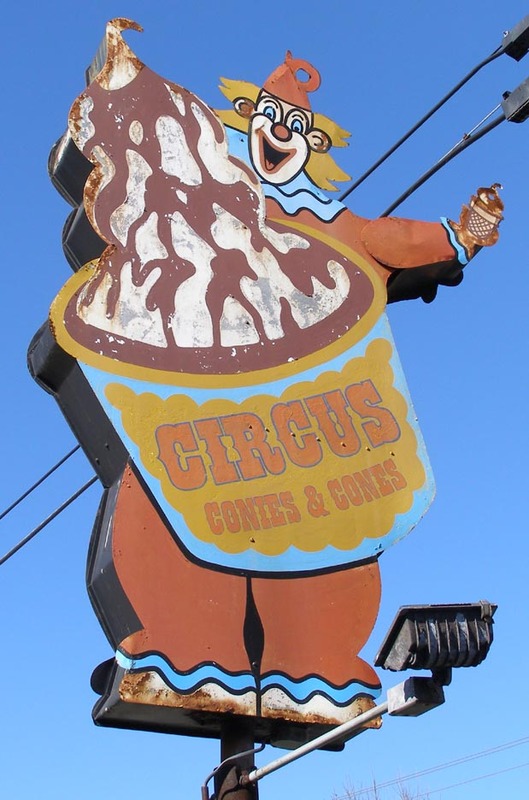 Another is a series of suggestive clown/cone signs. And what's that brown goo dripping down from the tip? 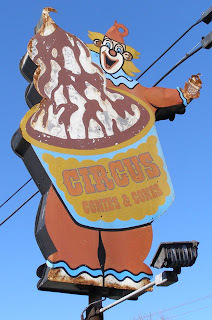 For similarly disturbing examples, be sure to check out the signs of the Big Top Drive-In and Angie's Dairy King. You'll be glad you did. Much thanks to Debra Jane Seltzer, who photographed this image. Her RoadsideArchitecture.com is a great source for old signage. Check it out!